SAVOR GREAT WINES. BY THE GLASS OR BOTTLE. Travinia Italian Kitchen continously updates their selection of wines for their wine lists, always adding new, exciting choices from world-class vineyards around the world. 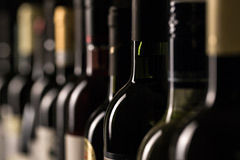 Our guests always appreciate our thoughtful selections and affordability; we offer 61 wines by the glass, a reserve wine list by request, unique wine dinners, featuring hand-picked wines paired with the perfect entrées from our kitchen. For years, our customers have made Travinia their restaurant of choice — knowing every visit will afford the pleasure of discovering another great wine, and another superb experience. Access, pour and enjoy these Reserve Wines below without pulling the cork or purchasing the whole bottle.